I don't normally do big gifts for Father's Day. In our family, Dad gets to whatever he wants that day. Often it's hiking - often it's without wife and kids. And that's okay. I get it. I've been known to spend Mother's Day without my family too! This year, though, I put together a small Father's Day gift guide of some items that I think dads would like - especially traveling dads. 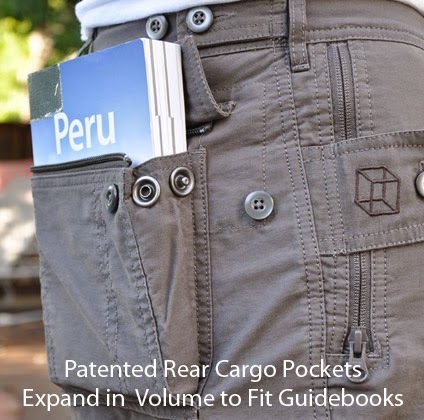 Pick Pocket Proof (P Cubed) Pants - I've been waiting to review these pants for awhile. I got a pair to test out after meeting the awesome crew at a travel show. They make a number of styles of travel pants that make it difficult for others to get into the pockets while you're wearing them. They use a combination of zippers and buttons, and sometimes both. Like putting a button flap over the zipper. Given that I usually wear a security waist pouch under my pants when traveling, having easier access to my valuables without giving easy access to thieves is a good thing. In addition to cargo pants (which they call Adventure Pants), Clothing Arts offers business travel pants, which would be great when you (if you're a man) are going overseas and need to look good, but are worried about someone ripping you off. They also sell men's shorts and men's nylon travel shirts. Unfortunately their styles are more limited for women. But this is a Father's Day post after all. I'm a little jealous because they make convertible pants for men, where part of the pant leg zips off into shorts. I want this type. They don't make them yet for women - they told me they had some issues figuring out fit, but they promise that they're coming. The clothes have other advantages you can read about online. The business pants are supposed to be water and stain resistant (no personal experience). The adventure pants are lightweight (I can verify that) and includes 50 SPF coverage. Check out the sizing on their charts when ordering. I made the mistake of measuring myself but then going by what I usually order in pants size instead of abiding by their numbers. And the pants didn't fit as they would if I actually paid attention to their sizing! Whiskey - I won't deny that my husband and I like our cocktails, and sometimes he'll have a drink on the rocks. 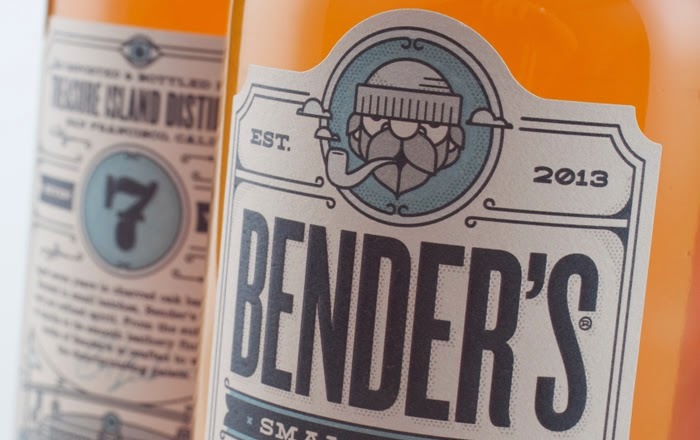 I like to support local brands, and heard about Bender's Rye, a small-batch whiskey (3,348 bottles made) aged in American white oak barrels and produced at the Treasure Island Distillery in San Francisco starting in 2013. I'm looking forward to trying it. It's got a great story behind it. The lab is in an old Navy brig guard room (a prison), and bottling takes place in former maximum security cells. You can read more about how it's made (and where they source the ingredients) here. You can get free shipping and 10% off a purchase of 3 bottles here. 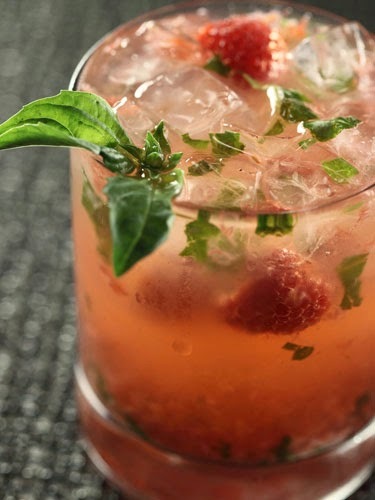 Muddle basil, raspberries, sugar and whiskey in the bottom of a glass. Add ice and top with sparkling water. Add whole raspberries. Want more recipes? Find them here. 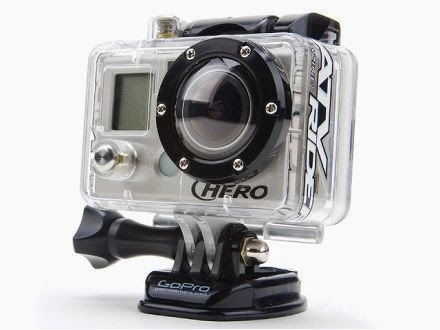 I won a GoPro Hero camera in the Passports with Purpose fundraiser a few years back. I've been having fun with it and know that any camera buff would love it. These cameras are made for adventure, and take excellent video as well as photos (including multiple photos in a row - very quickly). I've only touched the surface of what the camera can do, but having seen videos elsewhere, it's an amazing piece of small equipment. They make a ton of different mounts for it, so you can attach it to your helmet (skiing, for example), your surfboard, your wrist, your chest, etc. It operates with the touch of a button, or remotely using your phone. I've used it when tubing, ziplining and canoeing, and am getting set to take it to a water park and on roller coaster rides. The main reason I wanted it was to bring scuba diving or snorkeling, something I haven't unfortunately done since I got the camera. They range in price from $199 to $399, and come with waterproof casing. 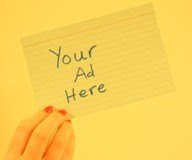 You can get them on Amazon, sporting good stores, and online. Scottevest - I got a Scottevest windbreaker to review many years ago. I still use it all the time. Why? It's got a ton of hidden pockets and it folds up easily. 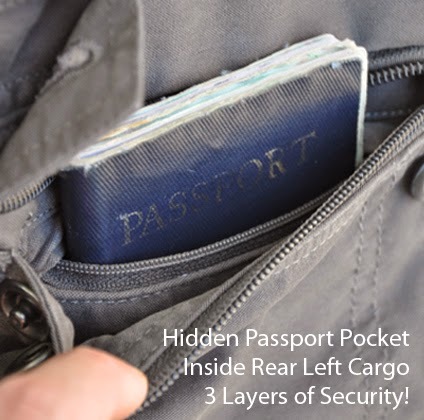 The hidden pockets are good for your electronics, wallet, camera etc. and don't look obvious. 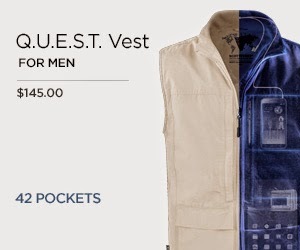 Scottevest makes a lot of products, including various jackets and vests, as well as pants. And they're not just for men. They had a couple of "no bag challenges" where people traveled abrod with only their Scottevest clothing, using the pockets as their only way to bring their stuff.